A good education is important to helping a child to develop and learn. In the United States we are very fortunate to have The Individuals with Disabilities Education Act (IDEA). If your child has an autism spectrum disorder and needs special education, you will need to become familiar with the rights your child has under (IDEA). Since 1975, IDEA requires that all individuals have access to a ‘free and appropriate education (FAPE).’ IDEA is a federal act, and each state may not take away the special education rights provided under IDEA, but may provide more. Basically, every child under the age of three and at risk of developing a substantial disability if early interventions are not provided is eligible for early intervention. The names of the different programs my vary by state, but you can check with your state’s Department of Health, Department of Developmental Disability, or Department of Education about early intervention. If you need help finding help or information in your area, look at the website of the Federal Interagency Coordinating Council (www.fed-icc.org). In the educational system, if a student is eligible, an Individualized Education Program (IEP) is developed that sets out the ways the child will be helped with his areas of difficulties, and goals and objectives are developed. The IEP is developed by an IEP team at IEP’s that take place at least annually. An IEP team consists of the parents, the child’s teacher, a general education teacher, a special education administrator, any professionals providing services such as occupational therapy, speech and language therapy, and adapted physical education. Sometimes, some members of the IEP team and / or the parents may not be in agreement as to how a child’s educational needs should be met, and what constitutes a ‘free and appropriate education’ for your child. As a parent, it is important to get to know how your child learns. Remember that you are the expert on your child. Also, it is important to keep abreast of the educational methods that are out there that may help your child. If you are in disagreement with the rest of the IEP team, there are appropriate ways for you to express your disagreement. The first step is to try and have good and open communication with your child’s teacher and other professionals involved in helping your child with his difficulties. The second is to make sure you know your child’s rights under IDEA. As a parent you will need to become an advocate for your child. As laws and regulations change, parents and educators can stay informed by checking the US Department of Education (www.ed.gov) and your state department of education. Most, if not all, states have an agency that helps people with disabilities and tells you your rights in plain language, and provides information in different languages. To find out how your state interprets IDEA, These are usually called Protection and Advocacy offices. Often these agencies have decoded the complicated IDEA and made it available on-line in easy to understand layman terms so that parents can understand the rights their children have in terms of education. In my next post, I’ll cover some autism parenting tips to ensure your child is getting the education he or she needs. You can also read more in my book, Autism Spectrum Disorders. 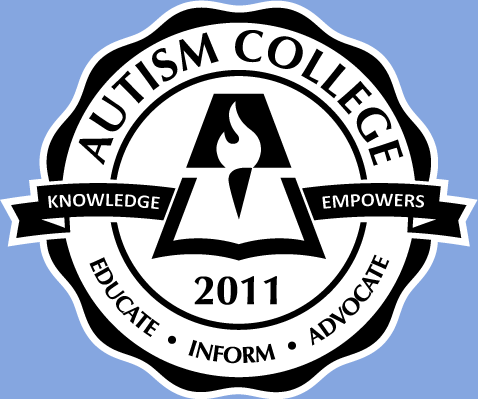 Tips on how to communicate and negotiate more effectively with your school will be given in the course Empowerment Strategies for the ASD Parent on Thursdays May 5,12,19,26, from 6:00 – 8:00 PM PST.